Allstar Canine Solutions specializes in training and boarding puppies to senior dogs. We believe that each and every dog is different and we take great effort in the care and love for each personality type. Do you have a shy, timid or nervous dog? We can help. Do you have a high strung, overly excited dog? We know what to do to help. Is the puppy just impossible to potty train? Give us a call. Are you having problems with aggression? See: Training-Techniques. Do you get so frustrated with your dog that you yell or are ready to give him up? Nearly 100% of these cases can be turned around. Do you have a sweet, wonderful dog that just needs to learn how to mind you? That is SO easy for us. Developed over many years of working with dogs, Allstar Canine Solutions provides people with solutions that work. ‘CJ’ the owner has been nicknamed by many as one of those Dog Whisperers who has that natural ability to see and feel what dogs are thinking. She teaches others dog language so their communication is exactly what their dog needs to hear in order to understand them quickly. The boarding is so much fun. For the dogs it’s like going to Disneyland. They wag, they pant, they pull the owners off balance to get inside the gate to see their friends. You make your plans with the Travel Agency and we'll give your dog the time of his life while your gone. Whatever dog needs you have we can help. We love your dog as much as you do. Click here to see a resume and get more information on the owner. 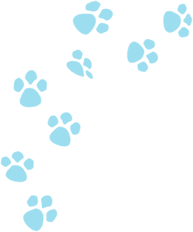 Click here to request dog boarding services. "I only have to look into their eyes to know why the owners love them so much. "I feel so honored to give them a happy place to board and there is nothing more enjoyable than to see the bonding that happens during training. I am so proud of all of you who make the time to go through training. You do such a service to your dog because they are so much happier."